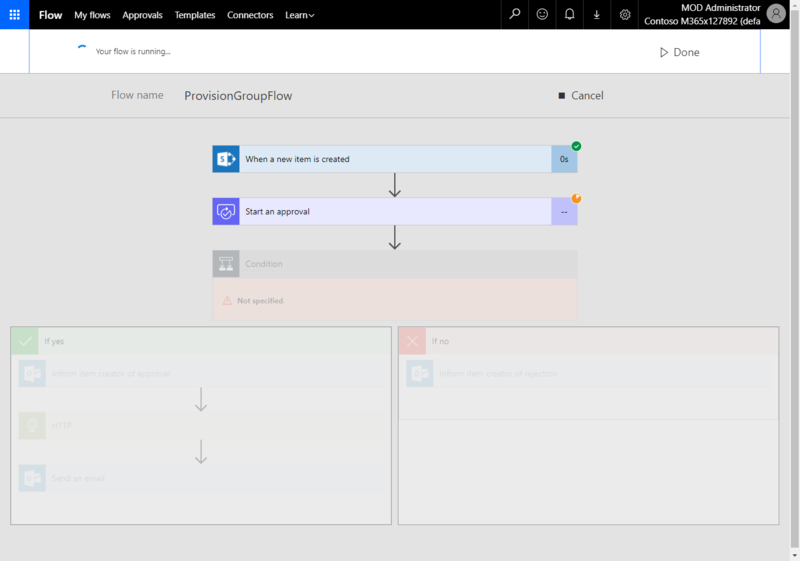 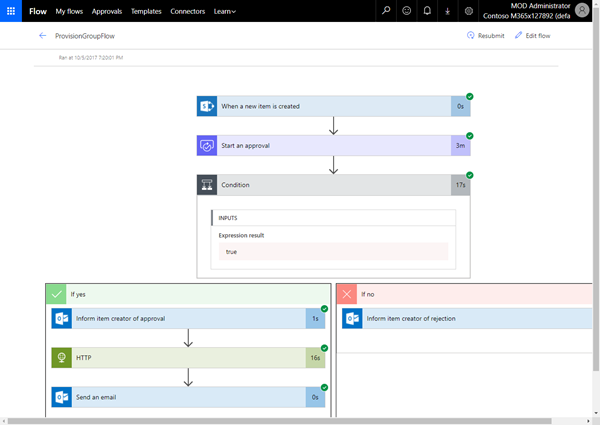 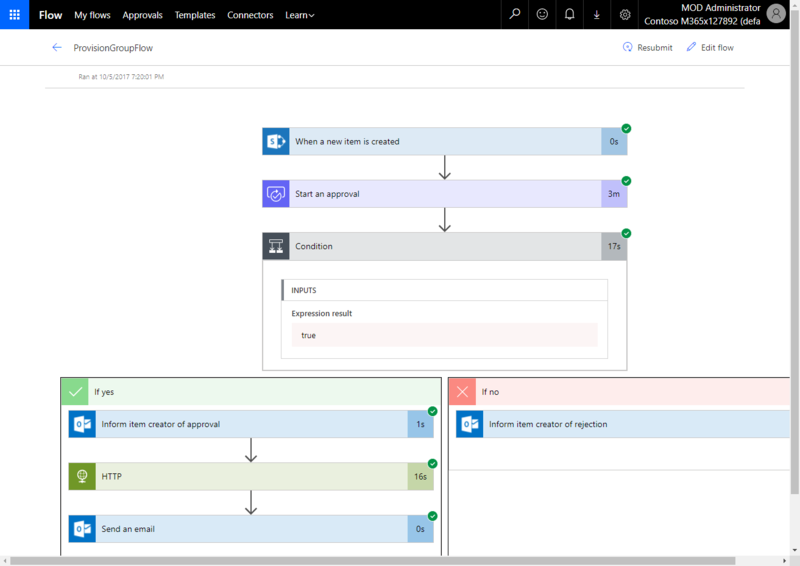 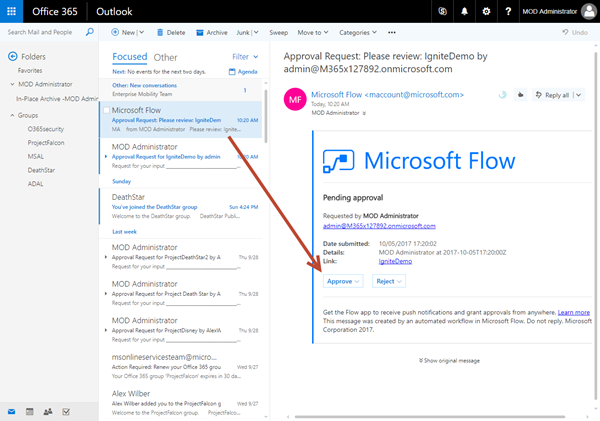 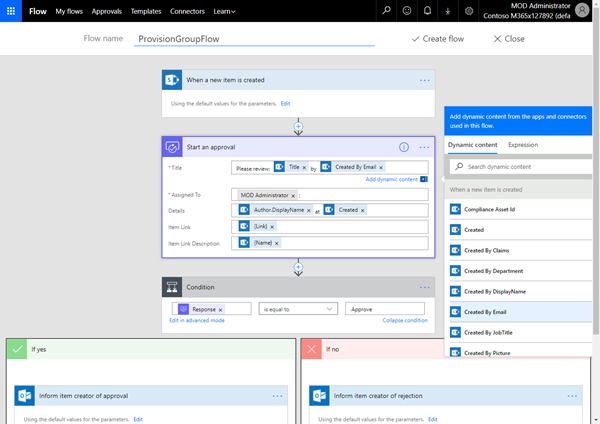 We have seen that such a scenario as "Provisioning an Office 365 group with an approval workflow" can be developed with existing Microsoft services by Power Users and Developers, depending on the complexity of the solution. This workflow acts as a sample to show the possibilities of creating self-service processes in your organization. 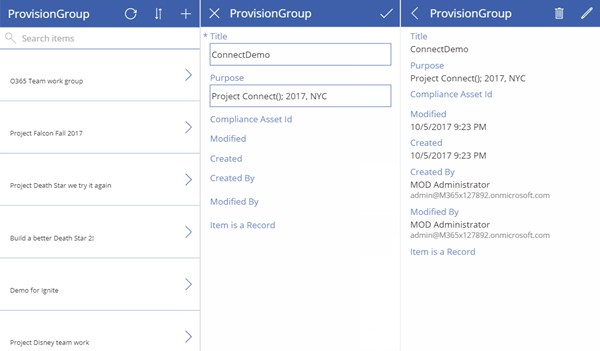 Of course, there exist many third party solutions that can deliver similar workflows combined with more management options, deployment, and more features. Our goal was to show a solution that existing Microsoft services can be used as well. 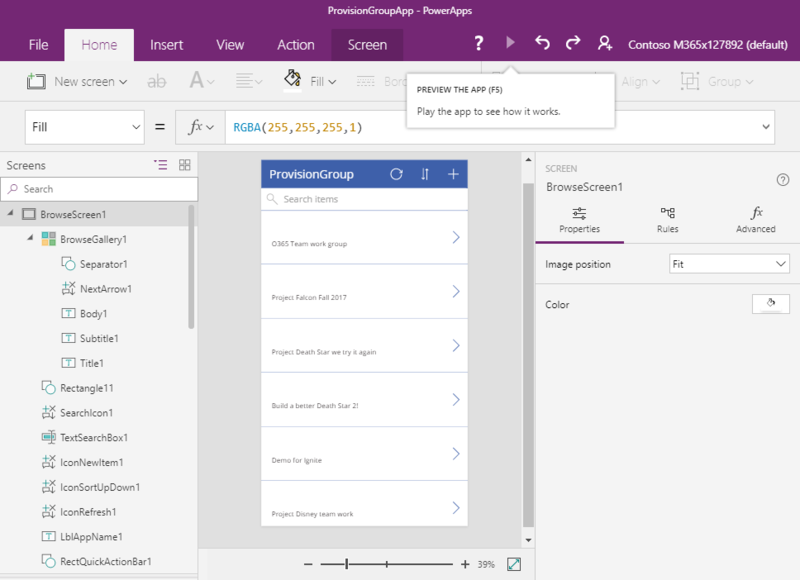 Thanks for the great tutorial with lots of pictures. 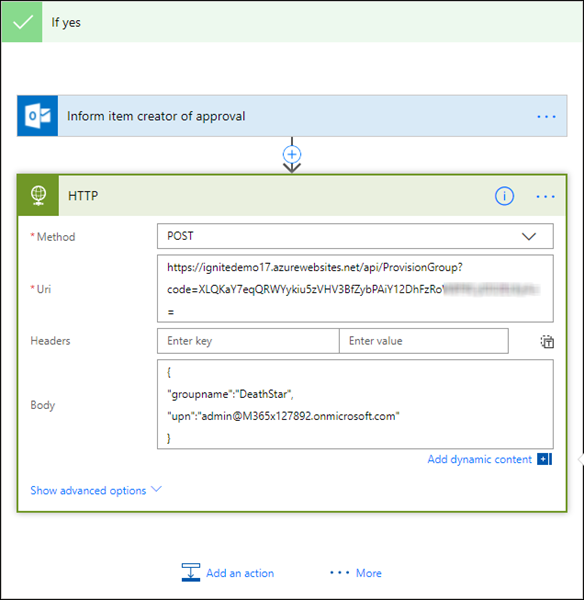 Only a curiosity about costs: it seems to me that it is reasonable that we can assume that for simple workflows with Azure Functions the costs are near 0..but what the costs of the app that one creates to have client id and secret? 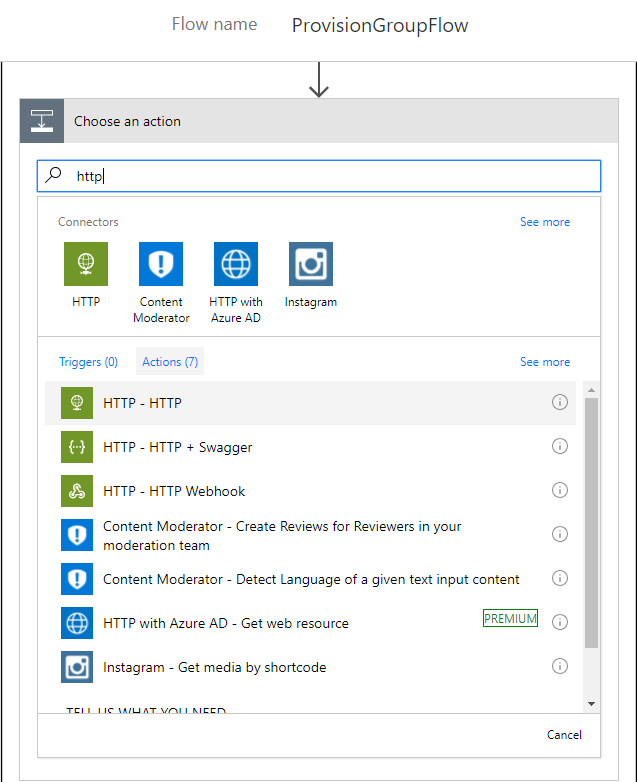 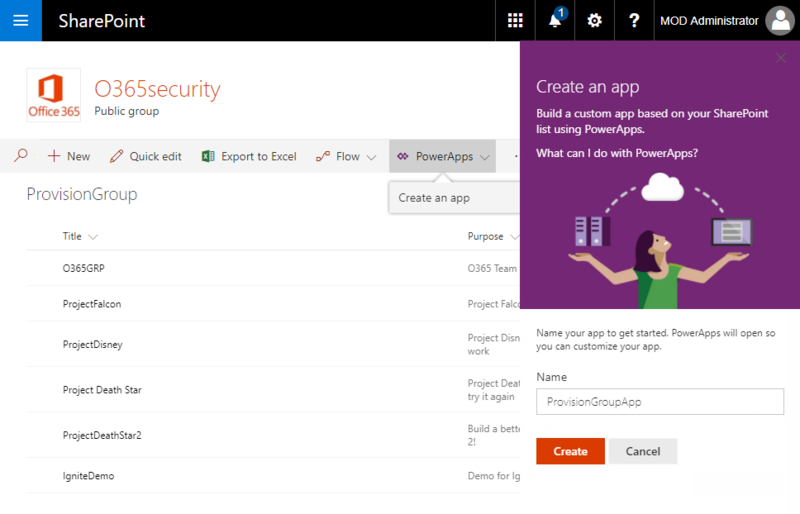 well, the app is registered in the Azure Active Directory (AAD). 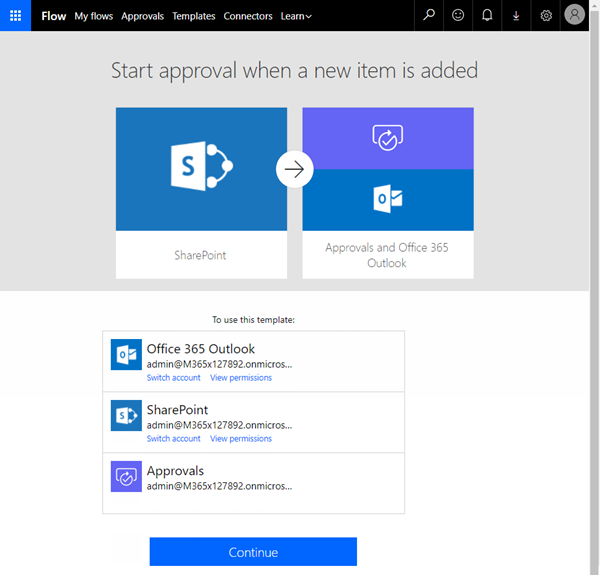 Apps are registered for free-as well is the AAD itself (except you add Office 365 licenses to it). To make it short: AAD is free (up to 500,000 objects)! 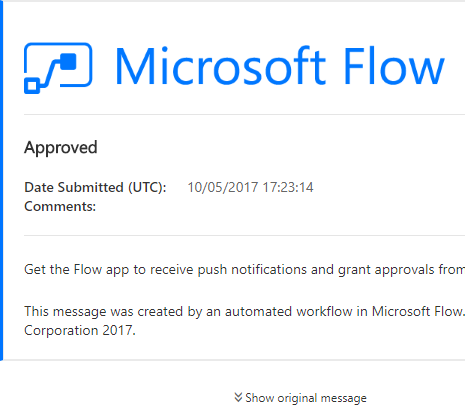 Is this primarily for the creation of Office 365 Groups from Outlook? 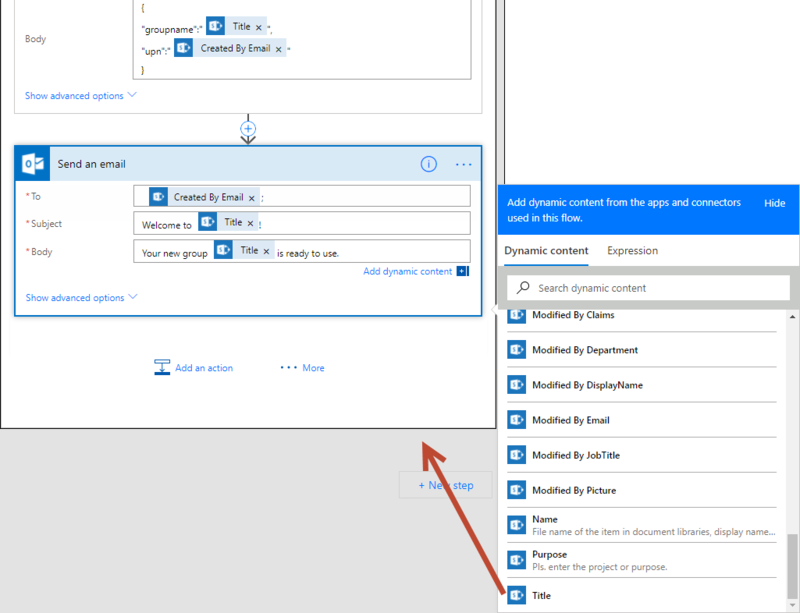 I'm wondering if a step could be added to direct user if they want the 'Yammer' group functionality, 'Exchange' or Teams? We also have quite a few people just wanting to use Planner. 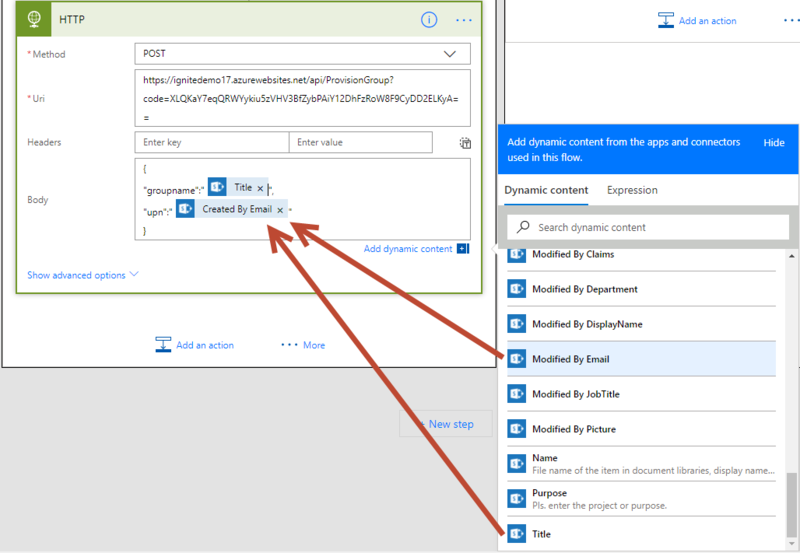 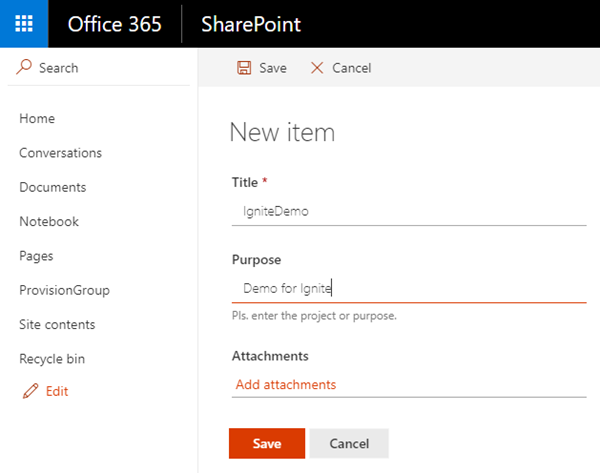 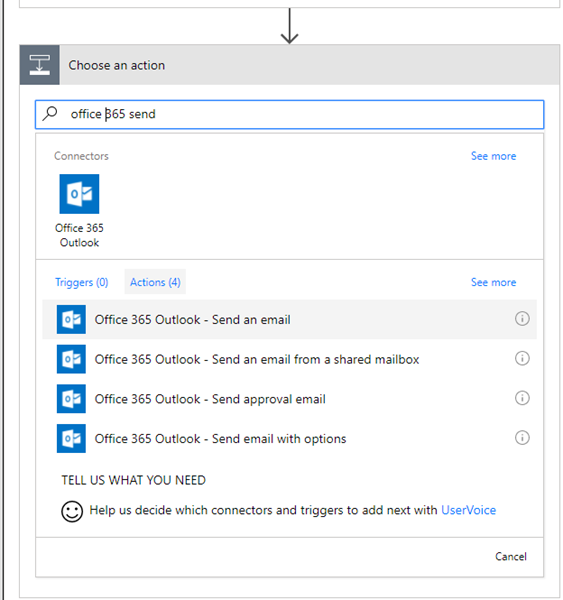 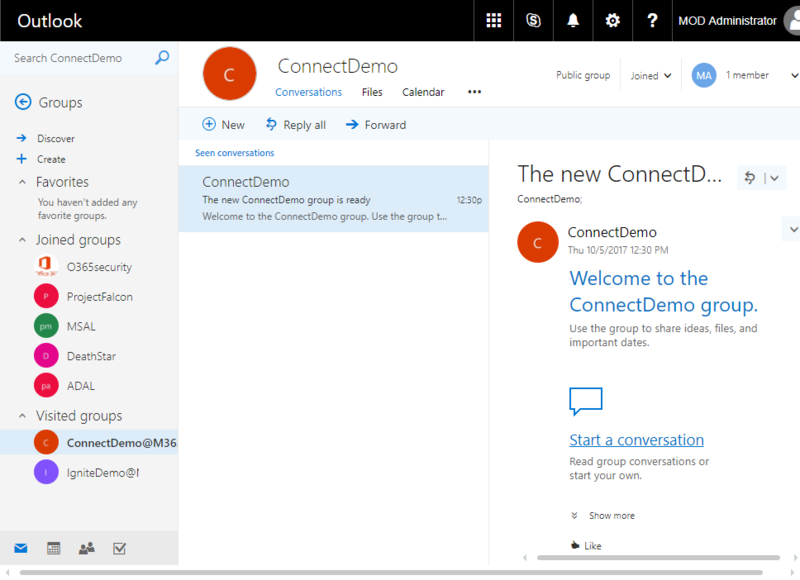 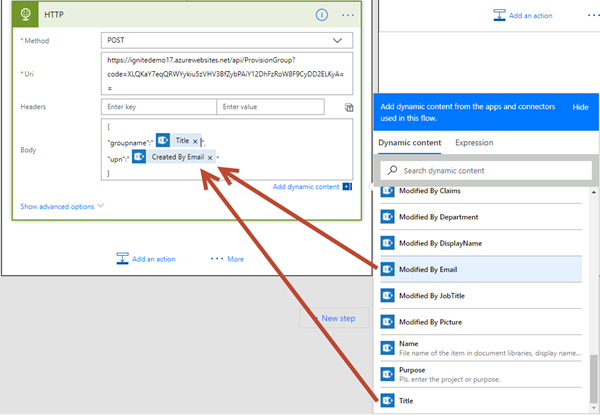 yes, this sample focuses on Office 365 groups creation. Other "groups" can be added depending on the existing Microsoft APIs. With Graph, now Teams can be provisioned as well. 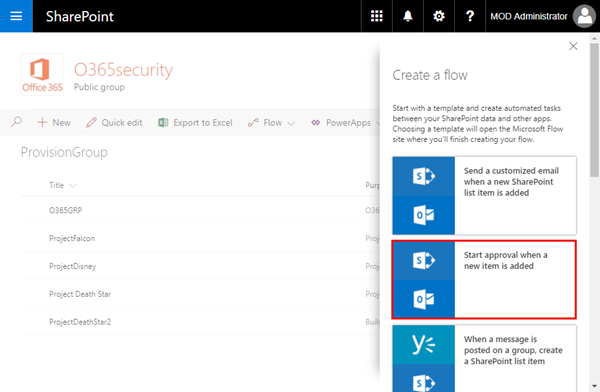 Exchange Groups can be created as email enabled security groups as well. 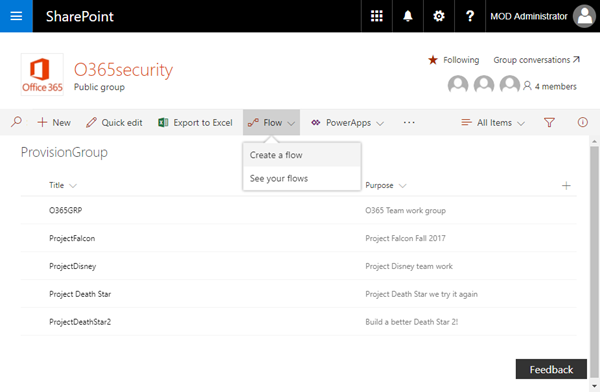 AFAIK, Planner is available in preview as well. 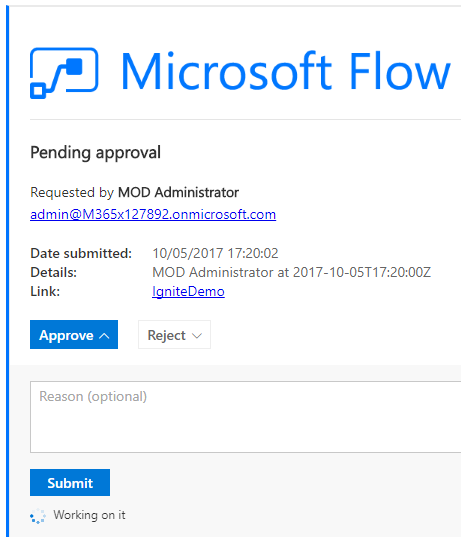 So, the answer is yes. You just need to check out the interface for offering other object types and then simply use them.